Action: This is a Limited Access release. No action required. When an application master takeover happens, you might want to look at the old app master to find out what happened. You can now choose a new behavior after an application master takeover occurs — either to delete the old application master (which was the existing behavior), or to detach it and have it become a utility instance so you can use it to debug the issue. Once you have the feature enabled, a new select box appears just below the existing application slave takeover configuration section on the environment edit page. If this sounds like something you’ve been looking for, have our Support team enable it for you, try it out, and let us know how it goes in our Early Access feedback forums. Today we are releasing in Limited Access. In the future, we'll make it more widely available in Early Access. Action: You automatically apply these changes the next time you click the Upgrade button for your environment. Adds minor internal changes to support future functionality. Action: You automatically apply these changes the next time you click the Upgrade button for your Engine Yard Gentoo 12.11 environment. Fixes problem encountered when rebooting instance where needed process control directories are removed. We're pleased to report that we've added SPDY and PageSpeed options to Nginx 1.4.2. Note: If you are using Passenger, these options work with Passenger 4 only (not Passenger 2 or 3). If you do not use Passenger, then the other Engine Yard Gentoo 12.11 app servers are fine. Today we are releasing in Limited Access. In the very near future, we'll make it more widely available in Early Access. PHP: Adds DB_REPLICAS environment variable to fpm-pool.conf when database replicas are present. PHP: Fixes issues with New Relic sysmond system monitor for environments with PHP apps. Reduces risk of swap on database instances where large amounts of memory are normally allocated. Updates Passenger 3 to 3.0.21. Fixes main Chef run issue when installing collectd; this affected customers on an earlier version of the server image, where new instances would not boot. Adds New Relic nrsysmond daemon to database instances. 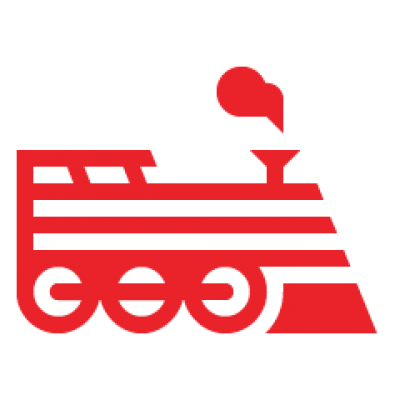 Cookbook preparation for Passenger 4 (4.0.10), Nginx 1.4.2 (a Limited Access release; contact Engine Yard Support if you want access). Includes packages for PageSpeed and SPDY options (which will be in Limited Access soon, when Nginx 1.4.2-r1 is available). Action: You can check out this new feature by adding an app slave to your environment today. We are very pleased to announce the general availability of this much-requested feature: application slave IP addresses. This feature allows you to assign an elastic IP address to an app slave instance directly from the dashboard. As an example, you can use this to create an IP whitelist for communicating with a gateway. You can also use it to maintain IP continuity if your app master goes down and the slave gets promoted. For more information, see Use App Slave IP Addresses.